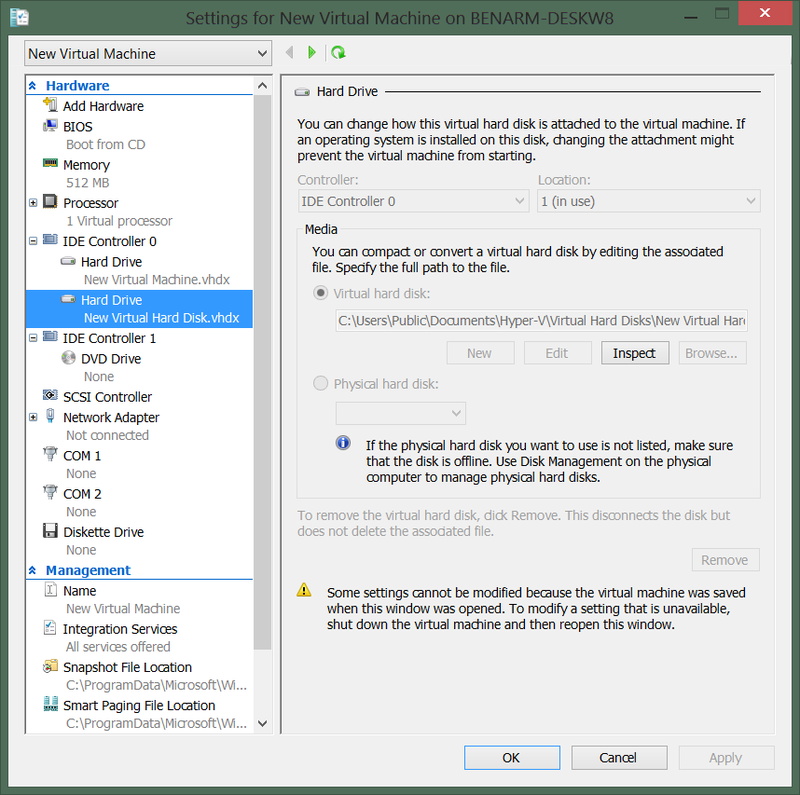 Starting a saved virtual machine–with a missing virtual hard disk | Chinny Chukwudozie, Cloud Solutions. Reblogged from Ben Armstrong’s Virtualization Blog . 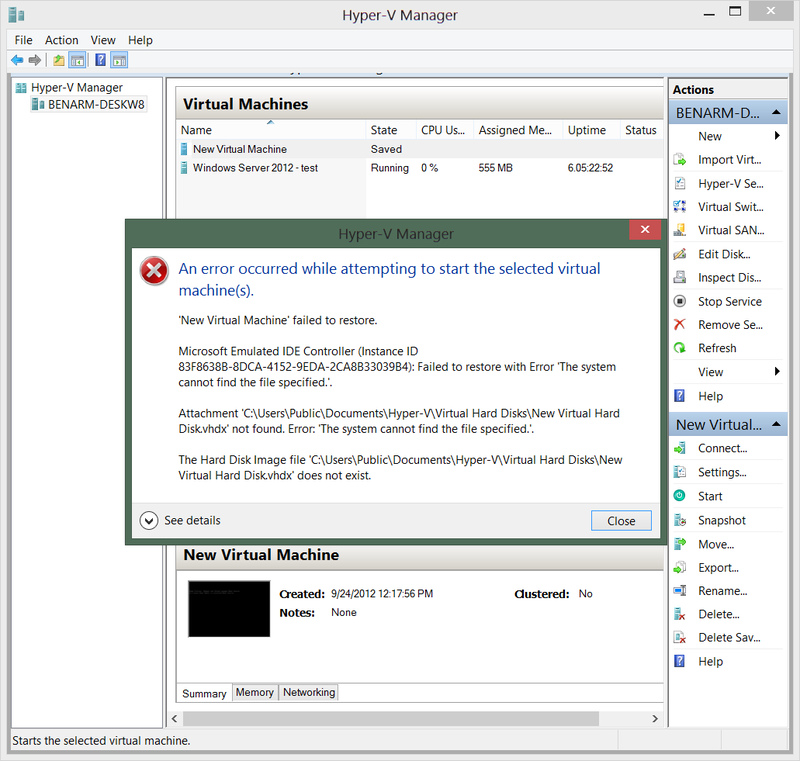 This entry was posted in Hyper-v, Hyper-v 2012 R2, Hyper-v Manager, PowerShell, PowerShell 3.0, Powershell 4.0 and tagged Hyper-v 2012 R2, Hyper-v Manager, Saved State, Virtual Machine, Windows Server 2008 R2, Windows Server 2012 R2. Bookmark the permalink.